user LUTs upload by SD card, Waveform/Focus tools and more functions. 1000:1, brightness 450nit, and viewing angle is Horizontal/Vertical: 178°. easily pan the image up/down/left/right by the joystick. Different from the traditional multi-buttons monitors, the CM-55C adopts the preset scenes and switching operations. between the layout scenes easily, instead of complex menu buttons operations. FujiFilm, GoPro, DJI etc, to convert log mode to REC709 for all major cameras. User creative 3DLUT cube or calibration 3DLUT cube can be uploaded to CM-55C by SD card. Max 16 user 3DLUT can be restored. exposure / Over-exposure / 18 degree grey / Skin tone indications, to help you to get a correct exposure easily. The exposure indicators are calculated for different cameras. 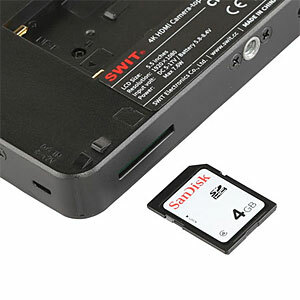 CM-55C has a built-in battery slot, supports both SONY NP-F and Canon LP-E6 batteries. The power consumption is only 5.5W. 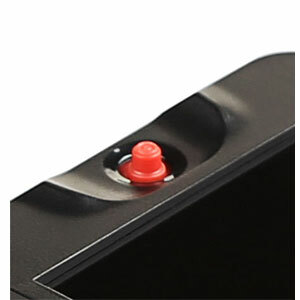 The monitor also supports 5-17V Micro USB power input. You can use smart phone charger or power bank to power the monitor.